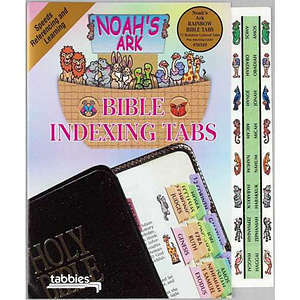 Noah's Ark Rainbow Bible Tabs was published by TABBIES #118 in April 2002 and is our 3727th best seller. The ISBN for Noah's Ark Rainbow Bible Tabs is 084371583492. Be the first to review Noah's Ark Rainbow Bible Tabs! Got a question? No problem! Just click here to ask us about Noah's Ark Rainbow Bible Tabs.